At Village Physiotherapy your recovery is our highest priority. 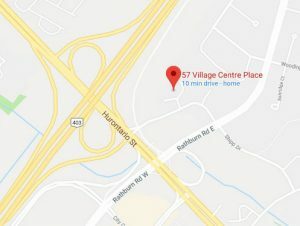 The Village Physiotherapy and Rehab centre is the physiotherapy in Mississauga, ON offering a full range of wellness and physiotherapy services and here we aim to provide the powerful, efficient, effective, professional and also the highest level of quality of professional rehabilitation treatment solutions. We are your imminent local Mississauga Physiotherapists who provide a variety of services like physiotherapy, osteopathy, massage therapy, and psychological services to the society since last 10 years. The Village is profound as the leading and excellent physiotherapy clinic in Mississauga, ON, and here we are committed to returning the individual to the highest functional level with the focus on cost containment, patient satisfaction along with individualized treatment. We proud of our highly qualified, committed, responsible and registered medical team who offers advanced rehabilitation programs for recovery from various injuries and pains. We personalize your treatment by providing custom physiotherapy treatments for the recovery from injury, optimization of performance, rehabilitation or restoring function. Personalized patient care is what sets Village Physiotherapy apart from other clinics. Our team of therapists are all highly skilled in delivering the best healthcare that is currently offered. We believe foremost in an accurate diagnosis to ensure that you understand your injury, and secondly, in a thorough treatment and rehabilitation plan to keep you motivated and on-track to regain full fitness and health. We prefer to combine our treatment with the knowledge to patients to let them understand what therapy is applied to them along with the reason for choosing the mention therapy. At massage therapy Mississauga, Village Physiotherapy and Rehab centre, we focus your health on the top, here we take care of the paperwork along with direct insurance billing to save your time and cost. So, the wait is over now and just book your appointment at our multi-disciplinary clinic for all your rehabilitation requirements in Mississauga, ON. Our combination of manual therapy and exercise that we offer is crucial to to regain your full function once again. Our approach is to focus on recovery, as well as preventive, to avert any possibility of recurrence. Serving Physiotherapy in Mississauga, Brampton and surrounding GTA region, our range of services include Physiotherapy, Registered Massage Therapy, Acupuncture and Chiropractic in Mississauga. Personalized patient care is what sets Village Physiotherapy Centre apart. When you visit our location you can expect to receive world class care. Expert specialists and caring clinical staff provide you with an exceptional health care experience. For the convenience of our clients the Village Physiotherapy Centre provides direct insurance billing with all the major insurance providers and assistance companies.